Amplify Arts promotes unity, innovation, and progress in the arts to build strong and vibrant communities. Since 2016, we’ve awarded $52,000 in grants to artists and will award another $50,000+ in 2019 alone. We offer ongoing education and professional development opportunities. We also facilitate access to legal professionals for essential services. We believe systemic change happens from working at both a macro and micro level. We want to build an Omaha that is recognized across the country as a destination for artists and creatives of all disciplines; where artists are valued for their contributions and have the capacity to forge their own path toward a sustainable career. Inclusivity - We provide services and opportunities to artists of all disciplines, identities, and levels of experience. While the nature of some opportunities (like grants) are limited to few, we believe in a transparent application and selection process, encouraging everyone to learn and grow from that opportunity. Innovation - We seek to inspire the production of compelling work and encourage artists to push the boundaries of their practice in new and unexpected directions, and to never feel complacent. We encourage the same progress in the arts community as a whole. Continuing Education - We are never done learning, and that is something we make clear through all of our professional development opportunities. Everyone, regardless of where they are in their career or life journey has something to learn and something to teach others. Community - We all achieve more when we work together. We are one small part of a wider arts community and a physical one, Little Bohemia. We are committed to investing time and energy into both, and working with artists, community members, and partners to lift each other up. Support Local - We believe that supporting local artists is a vital part of retaining Omaha’s creative talent and attracting even more to our community. There are plenty of different ways to lend your support: buying work by local artists, going to exhibition openings and performances, volunteering your time, or donating to local arts nonprofits. 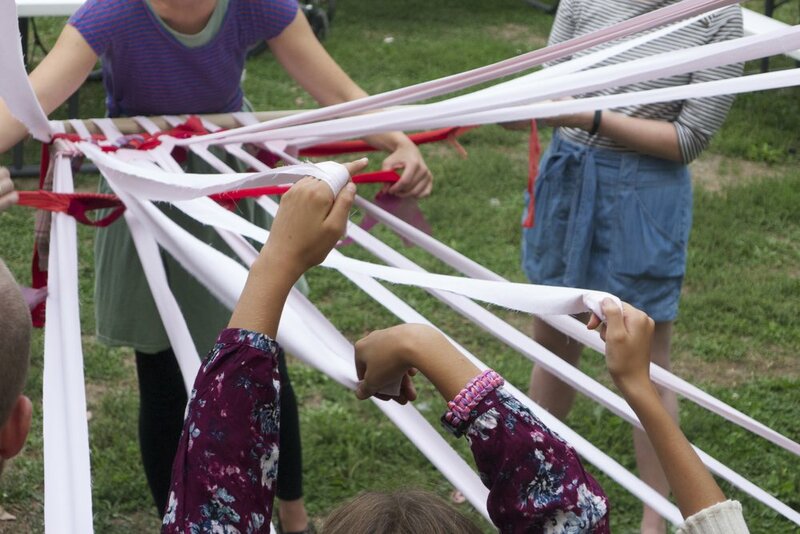 Sustainability - We help artists of all disciplines, whether they’re already established or just getting started, develop long-term solutions for sustaining an active and productive creative practice. Peanut Butter Pretzels & La Croix™ - We like to keep things focused but informal. For us, hospitality, fun vibes, and good snacks are a mainstay. Progress - We champion a stronger Omaha by advocating for cultural appreciation and arts recognition within the community, organizations, and the sector. We encourage strategic partnerships between Omaha’s community organizations and artists to support the success of the arts sector, in order to build stronger communities. Andy has worked in the arts nonprofit sector in many different roles for over 10 years. Originally from Bedford, Massachusetts, he moved to Omaha to work as a Teaching Artist and Director at The Rose Theatre after completing his BA in Theatre Education at The University of New Hampshire. But it was during a 2-year stint in New York where he discovered that he was both a midwesterner at heart and that arts administration was his real calling. Andy has also worked at TADA! Youth Theater, Underling Productions, and the American Red Cross. He has worked as a Teaching Artist and/or Director at The Rose Theatre, Atlantis Playmakers, Children’s Acting Academy, Random Access Theatre, and Wingspan Arts. He lives in midtown with his wife, Jennifer, and two boys, Toby and Indiana Jones (a dog). Caitlin grew up immersed in the arts, thanks to her mother’s profession as a music educator and her father’s love of live music and public radio. Born in Lincoln, Nebraska, her earliest days were spent at Kindermusik classes playing the xylophone, which translated to 12 years of piano lessons. Throughout childhood Caitlin participated in choirs, musicals, and dance (tap being the hands down favorite). High school was all about concert choir and show choir. This appreciation of music has never left, and now Caitlin enjoys attending live shows, and making glorious music with Sing Omaha’s Women’s Choir. After graduating from UNO with a B.A. in History, Caitlin pursued a Masters degree in Public Policy, focusing on Nonprofit Management. She currently serves as the Communications Chair on the board of the Young Nonprofit Professionals of Greater Omaha. Caitlin is a proud resident of Gifford Park neighborhood and cat mom. Peter is an artist and educator who believes reading, organizing, and community building are the lights at the end of every tunnel. Before joining the Amplify team, he held posts at Hauser Wirth & Schimmel in Los Angeles, the New Museum of Contemporary Art in New York, and The City University of New York, where he also received an MFA in Interdisciplinary Studio Practice. In addition to his position as Program Director at Amplify, Peter teaches courses in Photography and Visual Literacy at the University of Nebraska-Omaha. Maggie is a muralist and community organizer. As a child, she attended summer art camp in her hometown Shenandoah, Iowa, along the Wabash Trace Nature Trail, which cultivated her love for art in the outdoors. She owns a small business, Magdalena Murals, and has created public art installations for the past 10 years. 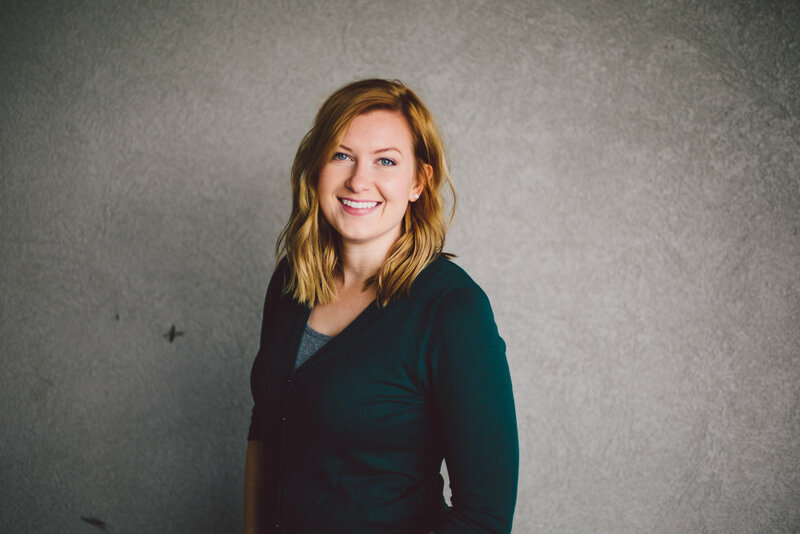 Maggie is invested in the next generation of creatives and has collaborated with local organizations such as Project Everlast, The Kent Bellows Mentoring Program, and The Montessori Co-Op School to empower young people to pursue their passions. She received her B.A. in Studio Art and Art History from the University of Nebraska at Omaha in 2014. Maggie is a Benson enthusiast and currently serves as Vice-President of the Benson Neighborhood Association and Public Art Director for Benson First Friday in addition to her role as Development Director at Amplify Arts.